Orsitalia presents Mariot, custom-made double bed in carved wood and lacquered in white chalk, handmade in Italy by Orsitalia. 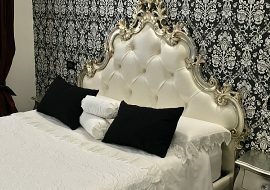 Mariot bespoke bedhead is hand tufted and covered by Orsitalia with natural white cotton fabric, natural linen also available in natural and ecological colors, to make this wooden baroque bed Modern and suitable also for hotel, B&B and houses of contemporary style. Mariot carved new baroque wooden bed frame is produced and upholstered completely in Italy, Brianza Area – Italian design birthplace, by Orsi Italia. All Orsitalia’s furnishings are manufactured in Italy by Italian craftsmen only. 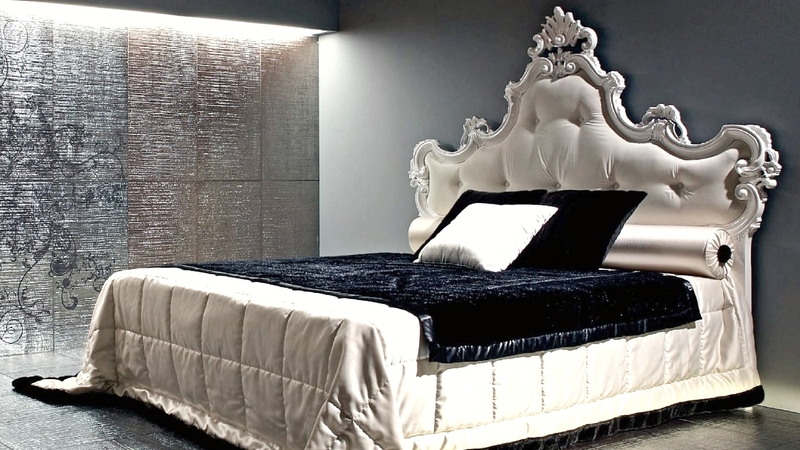 Orsitalia customize all their luxury contemporary beds both for the colors and for textiles. Mariot queen or king size bed is produced with upholstered footboard, gilted/silvered/lacquered wooden footboard or with bed box. Orsitalia will supply even the bedhead frame to hang on the wall for Contract use. The customers will supported in their custom and tailor-made solutions by Orsitalia’s Young Designer “Matteo Orlandin”. The production of all the handmade beds of the collections ORSITALIA is characterized by the highest quality standards, typical of the best Italian craftsmanship, and by the exclusive use of selected raw materials and a careful attention to every detail, to ensure to our luxury furniture a perfect durability over the time. Mariot double-size bed offers endless customization possibilities, also studied for hotels use. Storage bed: for matress of cm. 160 and 180. 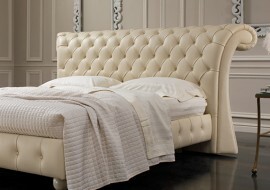 Upholstered bedframe: for matress of cm. 160 and 180.